Spring has finally sprung here in western North Carolina and there is a lot going on that you might be interested in. 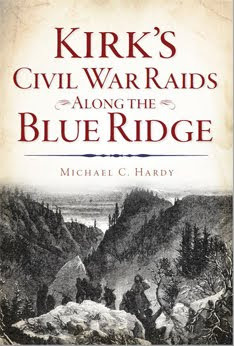 On April 5 there is a talk at Mars Hill College on Madison County Civil War regiments. You can learn more here. April 10 is Park Day, an event sponsored by the Civil War Preservation Trust. Park Day is “an annual hands-on preservation event to help Civil War battlefields and historic sites take on maintenance projects large and small.” You can find a list of North Carolina sites looking for volunteers here. 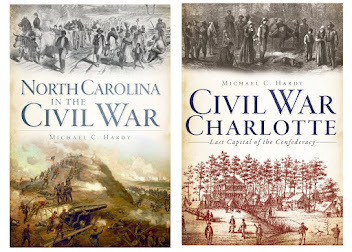 On the evening of April 12, I will be involved in a Caldwell County and the Civil War program at the library in Lenoir. This will be a “round table” type of discussion and is open to everyone. Make sure you bring a friend. On April 13, Abraham Lincoln scholar Harold Holzer will be speaking at the Broyhill on the campus of Appalachian State University (at 8:00 pm). This event is also free and open to the public. And, on April 17, I will be leading a tour of downtown Burnsville and the Civil War. We will be looking at sites like the place where local people hung Zeb Vance in effigy and where the April 1864 Burnsville Raid took place. We will meet at 1:00 pm on the square in front of the library. This event is also free. I was in Madison County this past Saturday, and I took a few photos to help illustrate the Madison County pieces. I hope you enjoy. 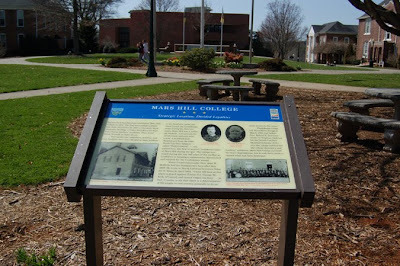 North Carolina Civil War Trails Marker on the campus of Mars Hill College. 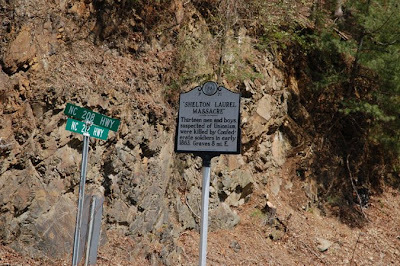 Site of the Shelton Laurel Massacre (almost seven miles from the marker). 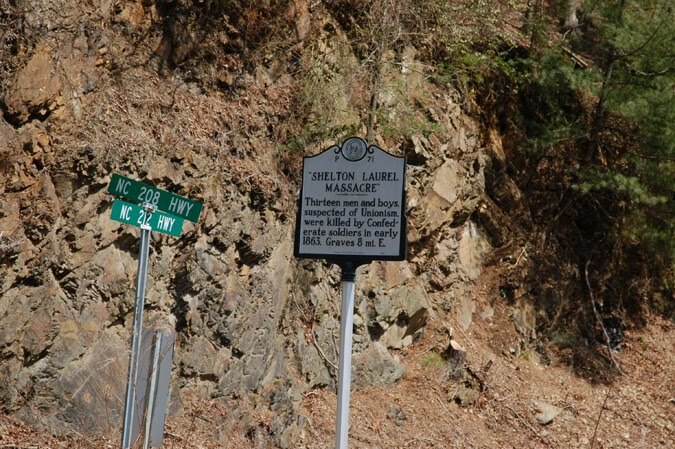 Marker speaking of the Shelton Laurel Massacre. Home of Col. Lawrence Allen (64th NCT) in Marshall. 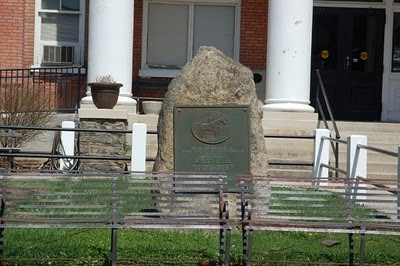 Robert E. Lee Trail Marker in front of the courthouse in Marshall. 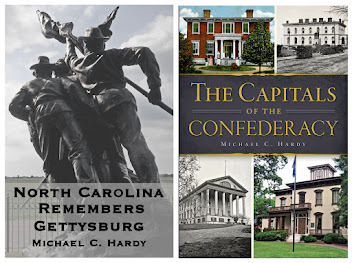 Madison County won a little poll that I put up a couple of weeks ago as the county that I would write about next in our survey of the Civil War and counties across the state. This is really only the tip of the proverbial iceberg when it comes to the war and Madison County. Maybe some of my readers will contribute more information. 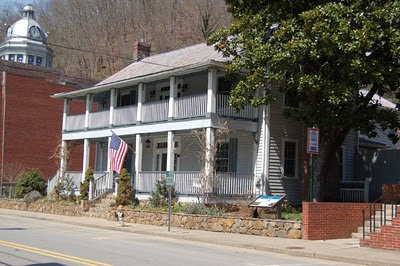 Madison County was created in 1851 from portions of Yancey and Buncombe Counties, and was named for President James Madison. The county seat, incorporated in 1863, was originally called Lapland, but was renamed Marshall in honor of Chief Justice John Marshall. In 1860, Madison County had a population of 5,908 people, including 213 slaves and 2 free persons of color. The returns from the 1860 presidential election were thrown out. In February 1861, 345 Madison County men voted in favor of calling a convention while 532 voted against the idea. In May 1861, when the convention was held, Madison County’s representative was Dr. Joseph A. McDowell. McDowell later served as colonel of the 60th North Carolina Troops, and also owned the Warm Springs Hotel. Madison County furnished men to the Confederate army that served in Company , 2nd North Carolina Battalion; Company B, 16th North Carolina Troops; Company D, 29th North Carolina Troops; Companies B and I, 60th North Carolina Troops; Companies A, B, D, F, G, I and L, 64th North Carolina Troops; Company I, 6th North Carolina Cavalry; and, Company D, 7th North Carolina Cavalry. Also, many Madison County men joined the 2nd and 3rd North Carolina Mounted Infantry (US). Terrell Garren, in his book Mountain Myth, believes that there were 1,969 Confederate soldiers from Madison County, and 135 Federal soldiers. William Trotter described Madison County as the “most disputed and fought-over part of the mountains” during the war. So, we have much to talk about. A riot, followed by a shootout, broke out in May 1861 during the vote to electe McDowell to the secession convention. The sheriff, who was probably intoxicated, stood in the center of town shouting “Hurra[h] for Jeff Davis and the Southern Confederacy.” A Unionist in the crowd answered with a cheer for George Washington and the Union. The sheriff accused them of being “a set of Damd Black republicans and lincolnites,” drew his pistol, and fired into the crowd, wounding a young boy. The Sheriff was chased into a building, and was later shot and killed by the boy’s father. The father escaped and later joined a Kentucky regiment. In January 1863, a band of Unionists and deserters raided Marshall, plundering houses and shooting local citizens. Also in January, there was a skirmish between militia and deserters in the Laurel Valley area. This led to the return of the 64th North Carolina, which were assailed from all sides as soon as they entered the county. A couple of skirmishes were fought in Shelton Laurel itself. When the Confederates could find no men in the area, they started interrogating and torturing the local women. Eventually, fifteen men, some old, others young, were captured. Two escaped before the column set out for Knoxville. Around January 13, the other 13 and the Confederates set out. At a pre-selected spot, the prisoners were halted, lined up, and executed. The commander of the 64th NCT, Col. James A. Keith, was arrested after the war, and spent two years in prison awaiting trial before escaping. This is known as the Shelton Laurel Massacre, and is the subject of a book by Phillip Paludan called Victims: A True Story of the Civil War. Later that same month, Thomas’s Legion was in Madison County looking for deserters. In mid 1863, Confederate forces commandeered portions of Mars Hill College and used it as a base and staging area for the rest of the war. Later in 1863, men from the 3rd North Carolina Mounted Infantry (US) attacked a meeting of the local Baptist Association not far from Mars Hill College, killing two men and wounding another. There was a skirmish in October 1863 in Warm Springs (now Hot Springs). Federal forces captured the town and the resort. A few days later Maj. John W. Woodfin led his cavalry battalion into the area in an attempt to recapture it. He was shot from his horse. Brig. Gen. Robert B. Vance (the governor’s brother), then led several attacks to regain the area, and the Federals pulled out late in the month. In April 1864, George Wiley Grooms and his brother Henry Grooms, along with Henry’s brother-in-law, Mitchell Caldwell, were captured while out working a field. They were marched across Mt. Sterling, on the Cataloochie side. As the family story goes, either Henry or George was forced to play the fiddle before being executed. George was a private in the 11th Tennessee Cavalry (US). All three are buried in a common grave in the Sutton Cemetery #1. In March 1865, some men reportedly belonging to the 3rd North Carolina Mounted Infantry (US) burned the buildings at Mars Hill College. 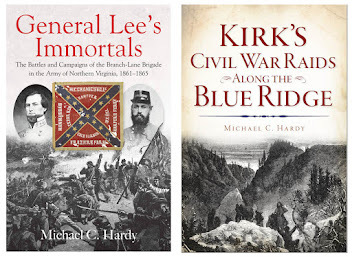 On April 3, 1865, an expedition led by Col. Isaac M. Kirby of the 101st Ohio moved through Warm Springs (now Hot Springs) and Marshall, towards Asheville, with 1,100 men. 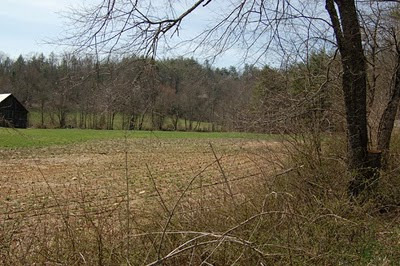 This resulted in the battle of Asheville on April 6, and with the retreat of Kirby’s force back through Madison County. There is going to be a program on Madison County and the regiments from the area at Mars Hill College on April 5. You can learn more here. If you would like more information on the events at Shelton Laurel, click here. Yes, I know, I’ve just done a news and notes post. But I thought with the conclusion of the Bentonville event, we would look at some of the newspaper stories about North Carolina’s largest reenactment. There are many other articles out there. This is just a selection. There is a short piece in the Goldsboro News-Argus, with a few photos. Check it out here. There is a longer article in the Fayetteville Observer. Have a look at it here. The Charlotte Observer also has a short article with a couple of photos, which you can read here. The Los Angeles Times has a piece on the Joseph Johnston statue, which you can read here. The Raleigh News and Observer has caught some flack because two thirds of their 106 photos are of Union soldiers. You can see all of the photographs here. An article about the civilian side of things can be found here. Well, this is a first. I decided to revisit a county that I have already written about. Thanks to Andrew Duppstadt over at the blog Civil War Navy (et. al.,) I now have a copy of Manarin’s “Onslow County and the Civil War.” It is a small report of 30 pages. However, it provides details on some of the other events that occurred in Onslow County during the War. We’ll get to those in a minute. But for the next couple of minutes, I want to get on my horse again. So, out of 100 counties, only six have county histories. I have two or three that I am interested in myself. But, let me issue this challenge. 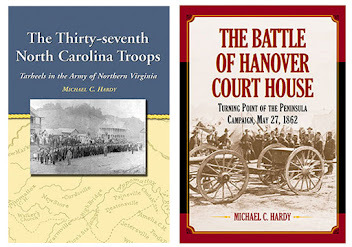 As we sit here on the edge of the Sesquicentennial of the Civil War, let’s see if we can get every county a history of the War-time in print. No, someone else is not going to do it. The folks at the Department of Culture Resources do not have the time, nor the manpower, nor the money, and some professor at some college or University is not going to take the time. So my challenge is to you, historical or civic society member: put together some type of history of your county for future generations. I will be glad to help you in any way that I can. I might even consider being a co-author, or at least giving you a read. Drop me a line and let’s talk. January 1862 – the British brig York grounded on the beach near Bouge Inlet, and was burned by the Federals. August 17, 1862 – second expedition up the White Oak Rover, Swansboro taken and salt works destroyed. October 1862 – Lt. William B. Cushing in Swansboro. June 13-16, 1863 – Federal raid into Onslow County. November 1863 – Northern schooner, Alice Webb, mistakenly arrives at Swansboro, runs aground, and is captured. December 1863 – Federal Raid into Onslow County. December 17, 1863 – schooner G. A. Bigelow, possibly a blockade runner, burned at Bear Inlet by Federal forces. Salt works also destroyed. January 1864 – Confederate troops under Gen. J. G. Martin move through Onslow County and attack Federals at Newport Barracks. February 4, 1864 – The blockade runner Nutfield was run aground near Bear Inlet and burned to prevent capture. March 24-26, 1864 - Federal Naval raid into Onslow County. Force sent to Swansboro turned away after encountering Confederate cavalry. Federal force at Bear Inlet burned schooner, captured some slaves, but abandoned others. April 1864 – Federal expedition to Swansboro that destroyed supplies and captured 12 Confederate soldiers. Part of town burned. June 1864 – Federal raid at Swansboro and captured four or five pickets. June 1864 – Raid at Jacksonville. Federals turned away by Confederates. Folks – check out this video on WRAL’s web site about the new Joseph Johnston statue at Bentonville. Are you going to the dedication? It is at 10:00 am this Saturday. I guess since there is so much going on within the Tar Heel state right now concerning the War, it might be good to have one of our “look arounds”. There is an article this morning in the Raleigh News and Observer about the new statue of General Joseph Johnston on the Bentonville battlefield. Check out the article here. You can find information here about events commemorating the 148th Anniversary of the Battle of New Bern, and some special tours they are doing. There is also a living history coming up in April in Raleigh on the grounds of the capital. Go to this link for more information. In a article this morning this is a mention of a school group visiting the Bentonville battlefield today. Check it out here. On ENC this is more discussion of events going on in New Bern this week. Learn more here. The Fayetteville Observer reports that Bluecoats and Tar Heels: Soldiers and Civilians in Reconstruction North Carolina by Mark. 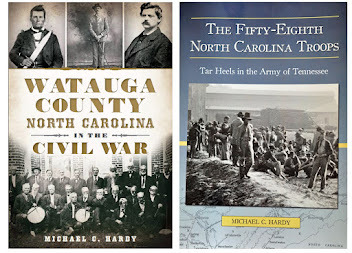 L. Bradley has won the North Carolinian Society Book Award. You can read the article here. And, there are numerous articles on the upcoming Bentonville Reenactment. You can check out two here and here. Greetings folks! I received this via email and I thought I would pass it along. DURHAM – Two hardened war adversaries who later became great friends negotiated the largest troop surrender of the American Civil War at Bennett Farm near Durham Station on April 26, 1865. A re-enactment of one of the war’s last surrenders will be held at Bennett Place State Historic Site on Saturday and Sunday, April 17-18, highlighting a week of free commemorative events for the 145th anniversary of the end of America ’s deadliest war, which cost more than 625,000 lives. “This is hallowed ground, and we should all gather to remember the sacrifices made,” says Bennett Place Site Manager John Guss, who is planning the history and remembrance event, which includes soldiers on horses, music, books and more. Confederate General Joseph E. Johnston and Union Major General William T. Sherman had faced off in battlefield commands in Atlanta , Ga. , Columbia , S.C. , and Bentonville, near Four Oaks, N.C. Yet in the war’s waning days they sought a peace when they first met face to face. The final agreement was a military surrender of nearly 90,000 soldiers that ended the war in the Carolinas, Georgia and Florida . Crowds of thousands are expected to enjoy the weekend activity. Re-enactors portraying Gen. Johnston and Maj. Gen. Sherman will arrive on horseback at 10 a.m. at Bennett Place on April 17 and 18 for negotiations, just as it was for the first negotiations145 years ago to the day. They will meet Bennett family re-enactors. Visitors will be allowed into the parlor to witness the negotiations at various times. Other activities will include performances by the Huckleberry Brothers Civil War band, and demonstrations of blacksmithing and of Civil War-era photography, where pictures will be taken for a fee. Many other activities will occur during the weekend. Sutlers will sell period-style clothes and tools, as will Seagrove potter Lonnie Blackmon. A stacking of arms and furling of colors by the Army of Tennessee, and a wreath laying at the site’s Unity Monument also are planned for Sunday. For additional info rmation call (919) 383-4345, e-mail Bennett@ncdcr.gov or visit www.bennettplace.nchistoricsites.org. Bennett Place State Historic Site is at 4409 Bennett Memorial Road , Durham , NC , 27705 . It is within the Division of State Historic Sites in the N.C. Department of Cultural Resources, the state agency with the mission to enrich lives and communities, and the vision to harness the state’s cultural resources to build North Carolina ’s social, cultural and economic future. 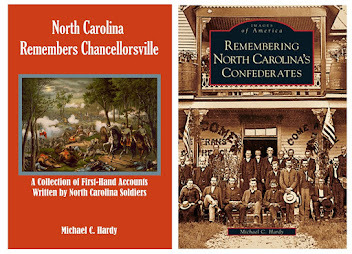 Information on Cultural Resources is available 24/7 at www.ncculture.com. I was in Raleigh this past week doing some research for a couple of upcoming projects. I stopped by the state history museum for a couple of minutes and was happy to see that the flag of the 37th North Carolina is now on display – not that the flag of the 18th NCST was bad; I’ve just always been partial to the flag of the 37th NCT. As I stood gazing at the flag, at the few bullet holes and the long tear at the bottom, old questions were brought to mind. Where are the 37th NCT’s other flags? We know that this flag was issued prior to the battle of Fredericksburg in December 1863, and was captured on April 2, 1865, just below Fredericksburg. Bu t there is no way that this flag could have been borne by one of the hardest fighting regiments in the Army of Northern Virginia though all of those battles – Fredericksburg, Chancellorsville, Gettysburg, Mine Run, the Wilderness, Spotsylvania Court House (where a flag was almost captured), North Anna, Cold Harbor, and all of the Petersburg Campaign. Did the 37th NCT get a flag with the rest of the brigade right before Gettysburg? Who captured it? What happened to the flag that replaced that one? What about the regiment’s state flag? Is it still lying in someone’s attic? Will someone walk in with a tattered banner stuffed in some paper bag someday? Or has the flag of the 37th NCT already been discarded like the letters of Colonel Barber? So many unanswered questions. This is me and my son Nathaniel with the flag. Sorry for the lack of posts this week – been busy, been out of town, going to Raleigh to do research tomorrow. Just been one of those weeks. I did get an email earlier today about the preservation of the Gettysburg flag of the 11th North Carolina Troops. Please find it below. On July 3, 1863, the final and bloodiest day of the Battle of Gettysburg, the 11th N.C. Troops carried its flag into some of the most intense combat of the Civil War during the famous Pickett-Pettigrew-Trimble charge. This historic banner was the only flag from the Tar Heel regiments in Brig. Gen. James Johnston Pettigrew's Brigade at Gettysburg that was not captured by Union troops during the charge.The 11th N.C. Troops' colors are part of the Confederate flag collection at the N.C. Museum of History in Raleigh. The flag, which has needed conservation for many years, has recently been restored with the help of the 11th N.C. Troops, a Civil War re-enactment group. Conservation of the museum's banners requires expensive, specialized textile treatment, and the re-enactment group has helped meet this need by raising funds to restore the regimental colors. On Feb. 6, members of the 11th N.C. Troops unveiled the newly conserved banner during a dedication ceremony at the museum. "This historic flag carried at Gettysburg will at last be available for viewing," says Tom Belton, Curator of Military History. "We are pleased that members of the 11th N.C. Troops took on fund-raising for the conservation of this flag." The banner will be on exhibit in the near future in A Call to Arms: North Carolina Military History Gallery. "The 11th N.C. Troops has been working for years to generate funds for such a worthy project," emphasizes Mark Greiner, First Lt. and Treasurer of the organization. "The combined efforts of our membership, friends and supporters helped us complete this preservation project in October 2009. "The 11th North Carolina's banner was one of five issued to the quartermaster of Pettigrew's brigade, composed of the 11th, 26th, 44th, 47th and 52nd North Carolina. It was signed for "in the field" on June 20, 1863, by the commander of the 11th North Carolina, Col. Collett Leventhrope, and carried into the Battle of Gettysburg two weeks later. "In the field" means the flag was issued to the regiment during a military campaign.At the war's end, Col. William J. Martin, the last commander of the 11th North Carolina, brought the regiment's colors home. In 1920 members of his family donated the banner to the Hall of History, which is now the N.C. Museum of History. Because of the flag's condition, it remained in storage and could not be displayed. This Confederate flag and others are being conserved through private funds in preparation for the N.C. Civil War Sesquicentennial. 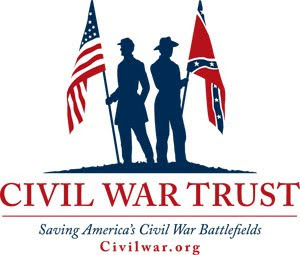 From 2011 to 2015, exhibits and programs will be presented in commemoration of the 150th anniversary of the Civil War in North Carolina. The Museum of History is located at 5 E. Edenton St., across from the State Capitol. Parking is available in the lot across Wilmington Street. The museum is part of the Division of State History Museums, Office of Archives and History, an agency of the N.C. Department of Cultural Resources. I’ll tell you how I got on this topic before we go any further. I ordered and received a new dress jacket the other day for interpretation and re-enacting purposes. It is a Confederate colonel’s jacket that I will use to display, and for warranted occasions, like dress parades and balls. I was trying to decide what buttons to put on the jacket. That is how we arrived at this post. So which buttons were used on the jackets that North Carolina’s soldiers wore? I did some research, and went through the online catalog of the North Carolina Museum of History in Raleigh, and through the book ­A Catalog of Uniforms from the Museum of the Confederacy. Most of the jackets I found were officers’ jackets, probably their dress jackets. It seems that most officers had one dress uniform, and then another suit of clothes that they wore every day. After the battle of New Bern in March 1862, Lt. William G. Morris of the 37th NCT wrote home, stating that he had lost everything when the Confederates were forced to retreat. "I have Nothing Except that is on my back. that is My Brown soote. I Did Not have on My uniform" he wrote. Surprisingly, the majority of officers had United States Staff Eagle and Shield buttons on their coats. These coats came from a variety of sources. Until the end of the war, officers were expected, or required, to purchase their own uniforms. Some were made at home, others were made by tailors. There is no real way to determine where each jacket was manufactured. So where did the Confederates get all of these yankee buttons? Something in the back of my mind says I know this story, but I cannot seem to place my hand on it. So, I’ll put the question to you: where did the Confederates get these buttons? Thomas P. Devereaux – 43rd NCT – VMI buttons. John A. Gilmer – 27th NCT/ Prisoner commander – Virginia state seal. The county-by-county exploration of North Carolina and the War is not going as fast as I hoped. Maybe we will be able to wrap up by the end of the sesquicentennial. I thought today we would turn our attention to Onslow County. Onslow County, a part of North Carolina’s Costal Plane, was formed in 1734 from New Hanover County. It was named for Arthur Onslow, Speaker of the House of Commons in the British Parliament. The county seat is located in Jacksonville, which was incorporated in 1843 and named for President Andrew Jackson. Onslow County is probably best known for these two things: the birthplace of Otway Burns, a privateer during the War of 1812 and later a member of the state house, and Camp Lejeune Marine Base. In 1860, Onslow County had a population of 8,856 people, including 3,499 slaves and 159 free persons of color. In 1861, the men in Onslow County cast 781 votes for Breckinridge, 153 for Bell, and 24 for Douglas. In February 1861, the county cast 631 votes for calling a convention to consider the question of secession, and 89 votes against. Dr. G. W. Ward was their first elected delegate. Ward hailed from New Bern, but had spent some time in Mississippi. He was educated at UNC Chapel Hill, and later in Philadelphia. Ward served as a magistrate, County Superintendent of Public Instruction, and chairman of the county medical board. He resigned to enter the Confederate Cavalry and was replaced by Andrew J. Murrill, a farmer, magistrate and chairman of the board of county commissioners. Murrill later served in the state house and senate. Men from Onslow County served in Companies E and G, 3rd NCST; Company B, 24th NCT; Company A, 35th NCT; Company H, 55th NCT; Company K, 61st NCT; Company I, 66th NCT; Company H, 67th NCT; Companies B and H, 3rd NC Cavalry; and, Company F, 8th Batt. Partisan Rangers. Onslow County saw limited action during the war. In April 1862 there was a night-time skirmish at Gillett’s Farm, with the 2nd North Carolina Cavalry attacking a portion of the 103rd New York. On November 23, 1862, Lt. William B. Cushing, aboard the Union gunboat Ellis, arrived off the coast of Onslow County and destroyed salt works, then captured and burned a vessel loaded with turpentine and cotton at Stone’s Point. Cushing later captured the town of Jacksonville and captured two more schooners at Wantland’s Landing. The Ellis later grounded on the shoals across from Traps Bay and was attacked by the Confederates. The Federal Tars abandoned the vessel. There is not much more to mention on Onslow County and the War. A visitor might learn more by visiting one of the local history museums – the Onslow County History Museum is in Richlands, and there is the Museum of the Marines on the base in Jacksonville. Louis H. Manarin wrote a small book entitled “Onslow County during the Civil War” back in 1982, but I do not have a copy and could find only one in a library in the state. Labels: 24th NCT, 35th NCT, 3rd NCC, 3rd NCST, 55th NCT, 61st NCT, 66th NCT, 67th NCT, 8th Batt. Part. Rang.